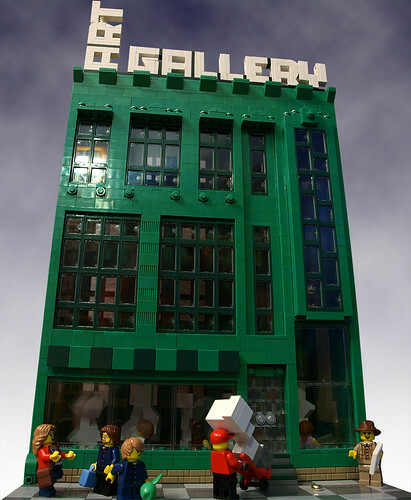 Brick Town Talk: State of the Art - LEGO Town, Architecture, Building Tips, Inspiration Ideas, and more! Old Industrial District - (BTT) As Andy Warhol once said, “Art is what you can get away with” - this author doesn't disagree. There is certainly nothing wrong with different people liking different things though, and perhaps no other place proves that as well as your local art gallery. Opting for a converted loft space with tons of natural light, this gloriously green gallery is constantly acquiring new pieces, much to the chagrin of the delivery men that need to navigate the stairs without damaging the work.